Do you want to make money while on an endless vacation… or travel basically for free? Sounds like a dream, right? If you think it’s nothing but a far fetched dream, I’ve got good news and bad news. The good news is: it’s not just a dream! It’s a totally attainable option and the opportunities are endless if you know where to look. In this post, you’ll find an in-depth look at some of the leading resources for finding seasonal work in a variety of different industries. The bad news (depending on your perspective): ya gotta (literally) work for it. 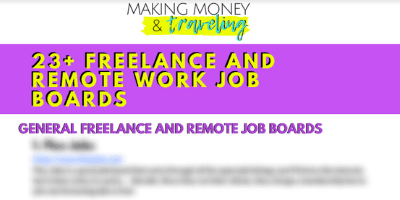 There are many different ways to make money while traveling, but if you want to really experience a region, place or culture and get paid or accommodations for free while doing it, seasonal jobs are right up your alley! Seasonal jobs are often quite lucrative jobs, and one of the best parts about them is that they’re temporary. If you hate it, it’s not like a career that you’re stuck in, and you get the added benefit of exploring new locations while you’re there for work. If you’re wondering what season is best for seasonal jobs, the short answer is… all of them. Depending on what type of job you’re looking for or get, you can find one in any season. Summer jobs can include camp hosts, tour guides, camp counselors, park rangers and so on. Winter jobs can include hospitality and guides at ski resorts. Spring and fall jobs can include planting and harvesting… Throughout the year, you can keep yourself working with various seasonal jobs. Work as much or as little as you want – it’s all up to you. Read through to learn more about the different types of seasonal jobs and where you can go to find the best ones for you! Backdoorjobs.com: Short Term Job Adventures – A Website that provides listings for Seasonal, Temporary and even some lonlonger-termbs for travelers with categories in the US and Abroad and has something for everyone. Whether you’re looking to intern, volunteer, educate, do farm work or even “meaningful work” and “mind, body and soul quests”, there’s a category for you. Backdoor Jobs is all about the adventure part of traveling for work. They list commitment length and type, what pay rate you can expect, amenities such as whether or not room/board are provided, and experience preferred. Coolworks.com: Jobs in Great Places – Coolworks is one of my favorite resources for short term, temporary and seasonal jobs for travelers. Coolworks believes in uniting people looking for meaningful work in beautiful places with the places looking for their enthusiasm and expertise. Coolworks job listings are updated very frequently, and are widely known by many seasonal job type employers. The work found on Coolworks is often lucrative and high quality. On Coolworks’ website you can search for jobs by state, season, type, you can even narrow it down by a particular National Park, if that’s what you’re into. Coolworks has jobs for every experience type, whether you’re into Administrative Office Work, Physical Labor, Environmental, Education, or Farming… and the list goes on! I won’t list them all here – head over to the Coolworks Category page to see what I mean. 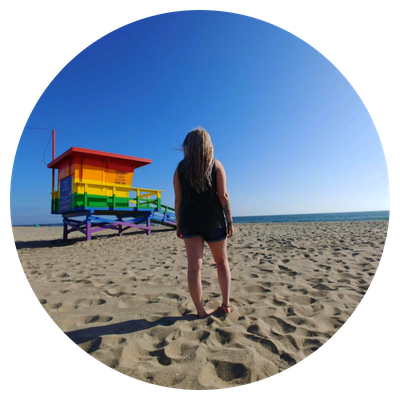 A favorite feature of mine when job-hunting on Coolworks is that you can even narrow it down to see what jobs offer RV Spaces or room and boarding – since I live in an RV, I always want to find the jobs that provide RV hookups! Coolworks isn’t just limited to the US, either. You’ll find seasonal jobs right here in USA as well as abroad. This is definitely a website to check frequently for new work, especially before season changes! Seasonal Employers often start advertising their jobs several months before to ensure they aren’t scrambling for help at the last second. Amazon Camperforce – Oh Amazon… is there anything they DON’T do? I guess when they say from A to Z, they really mean it… Because they even provide seasonal jobs for campers, complete with Full-Hook Up Complimentary Campsites, a job completion bonus of $1.00 for every hour worked, and health insurance for the duration of the job. According to an Amazon Camperforce listing – Amazon Camperforce hires throughout the year for Seasonal Job Roles that can range from very short term, to long term work lasting several months. Amazon Camperforce hires seasonal workers for their fulfillment centers in different states usually for the holiday season when orders really start to ramp up. They hire in multiple positions from supervisors, forklift drivers, pickers and packers and more. The pay for Amazon Camperforce is usually very competitive and workers are often offered overtime, as well as a fat bonus for anyone who stays the whole season. Depending on your job position, the work can be grueling. It is usually physical labor and can last up to 12 hours a day, which is too much for some people. This is probably why they offer such nice bonuses for people who stick through it until the end. If you don’t mind physical labor and like to make a lot of money in a short amount of time, then Amazon Camperforce is perfect for you! Amazon Camperforce is hiring throughout the year for jobs in different locations for different dates, and they hold “Jobinars” for those wanting to learn more. You can apply for Amazon Camperforce Jobs Here! Sugar Beet Harvest – If you’re anything like me, you had no idea there was a such thing as sugar beets until just now. I first heard about the Sugar Beet Harvest about 2 years ago when I was first starting my personal working and traveling journey, and my main takeaway was this: It’s hard work, long hours and a TON of green. And by green I mean cash, this is beets we’re talking about here. Sugar Beet Employees can make up to $2500 every two weeks, depending on length of time worked and position. There are no part time positions, so your potential for realistically making that amount of cash is high. The Sugar Beet Harvest is in the fall, and RVers and campers can expect to arrive on the jobsite in mid-late September. Start dates will vary depending on seasonal weather conditions. The length of the Sugar Beet Harvest varies each year, depending on how much work there is to do and how many people are there to do it. It ranges anywhere from a couple of weeks to a month or a bit over. Crew members can expect to work 12 hour shifts, 7 days a week in various weather conditions. Remember, this is in the fall in the Northern US. Temperatures can be mild or it can be really cold, rainy and windy, so it’s best to come prepared for all situations. RVers and campers can expect complementary campsites with partial or full hookups near the work site for the duration of the harvest. If there are not full hookups, they provide a free honey-wagon twice a week. If you have pets, there will be someone available to tend to them/walk them while you work. You will receive a 5% Bonus on all wages earned if you stay for the duration of the harvest. You can find more information on their FAQ page here! Apply for a position in the Sugar Beet Harvest Here! With the legalization of medicinal and recreational Marijuana sweeping across the United States, the Cannabis industry is booming! In many states in the US you can find seasonal cannabis jobs in the Harvest, as a trimmer, and in the summer months in the Pacific Northwest – seasonal budtender jobs. A budtender is basically like a bartender… for weed. A budtender is typically knowledgeable about different strains of Marijuana and it’s effects, and can accurately guide a customer to a strain that works best for them. Look for Marijuana Industry jobs on these websites: CannaRecruiter, WeedHire, and 420Careers. WWOOF – Become a WWOOFer! WWOOF stands for World Wide Opportunities on Organic Farms, and they connect volunteers with organic farmers and growers worldwide. As a WWOOFer, you will be connected with a host family in the location of your choice where you will be provided housing and meals in exchange for farm work. You can WWOOF in the US or abroad – your destination is your choice. WWOOF does have an annual membership fee of around $30 – a small price to pay to be connected with thousands of host farms and the opportunity to learn farming and experience new cultures. No previous farming experience is required! Does that sound good? Working on organic farms, learning the ways of the farmers… While living alongside them and experiencing new places, and making a positive impact in the world? If your answer is “HELL YEAH!” head on over to their website here and learn more! Workaway.info – Similar to WWOOF, Work Away is an online resource and community for volunteering, working and cultural exchange. You will find hosts all over the world looking for workers and volunteers for many different things. Work Away is not just limited to farming! You can find all kinds of work with Work Away including farming, construction, Cultural Exchange (similar to an exchange student), Working with Animals, Working with Communities, Schools and even computer work. Workawayers will help host families for a few hours a day in exchange for food and accommodation, anywhere for a few days or weeks to even months. WorkAway has thousands of hosts in over 155 countries. WorkAway has an annual membership fee of around $35 – this helps ensure they keep their website running and staffed 24 hours a day, 365 days a year to assist with all hosts and volunteers! Again, a small price to pay to be connected with such great resources and opportunities. Learn more here. Are you a National Park Junkie? Do you enjoy protected State and National Parks lands? You can be a part of the magic! The National Park Service runs smoothly by hiring thousands of seasonal workers every year. State and Corps of Engineers parks do the same! You can get a seasonal job in one of these parks as a Park Ranger, a Camp Host, working at the Front Desk, a Maintenance Worker, and the list goes on! They also have specialized positions if you have an area of expertise. 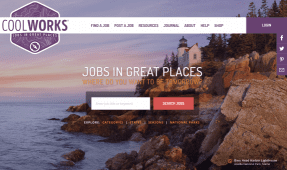 To find jobs with the National Parks Service, visit them here. To find jobs at any State Parks in the US, you will have to do a Google search for the State of your choice. Search for example: “CA State Parks Seasonal Jobs” or “CA State Parks Camp Host Job” or “CA State Parks Volunteer Positions”. You can also find Corps of Engineers, US Forest Service and other Recreational volunteer and seasonal work by visiting Volunteer.gov. You will find a mixture of paid and unpaid positions working for National, State and Corps of Engineers parks. Unpaid positions almost always come with a free campsite or other accommodations! Working in National and State Parks is an excellent way for the nature lover to get out and explore some of our most precious protected lands and make a difference while doing it! 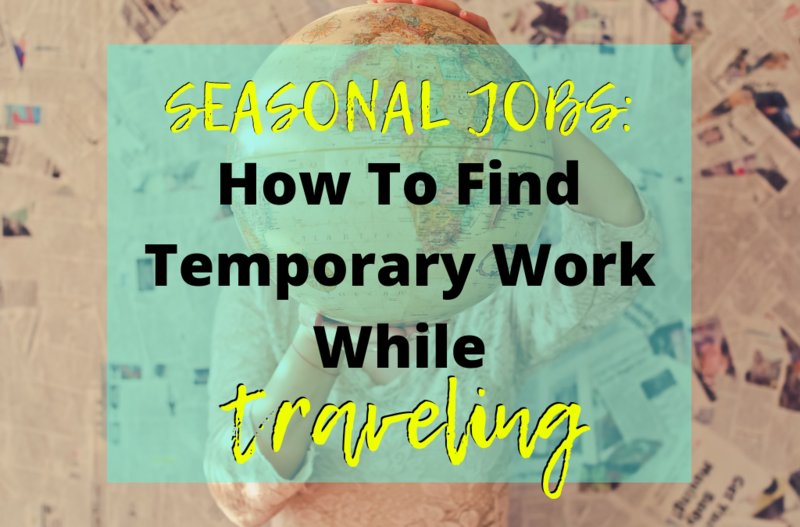 If you want to find a seasonal job so you can travel, my first piece of advice for you is to plan in advance! Start your work search early, because you aren’t the only one! Search often, too. You never know when your dream job will pop up, and you want to be one of the first ones to apply when it does! Have options! Don’t put all your hope into one job opportunity, because you will be devastated and without a backup if it falls through. Give yourself plenty of time and a list of job opportunities you want to apply for to increase your chances of landing one. Be a good employee. Employers that hire out people for seasonal work are all-too-familiar with crappy work ethics. Some people see these seasonal jobs as throw-aways and will not give it their all, show up to work late or just not show up at all! As you can imagine, as a business owner or employer that makes life really hard. They need people they can count on to get them through the busy season. If you show up every day, give them 100% you will often be rewarded with bonuses and you may even be invited back for the next year! Last but certainly not least… STOP. MAKING. EXCUSES. So you want to change your life, and you want to travel the world sooner rather than later… you totally can! You CAN afford this lifestyle, anyone can. It doesn’t matter if you’re buried in student loans, in debt or barely scraping by as it is. You’re reading this article because you’re dreaming, and your dream can absolutely be a reality… but you have to be the one to make it happen. Working seasonal jobs and traveling, to a lot of people, seems like a fantasy… it’s not. This is a viable way of making and saving money and thousands upon thousands of people live this exact lifestyle. No matter what your situation, you can find a work type for you. Many seasonal jobs pay VERY well and provide living accommodations, some even provide food. You can save so much money when your living expenses don’t exist! For many people, myself included, the traveling lifestyle is LOADS cheaper than living in a house or apartment working a 9-5. Everyone has hurdles. Everyone has obstacles that seem impossible to overcome and everyone has debt. Everyone makes excuses, but not everyone can face themselves and overcome their excuses and go for it. 10 years from now, you don’t want to be saying “I wish I did”… do you? It is my goal to help you find the courage, inspiration and resources to make your traveling dreams come true!